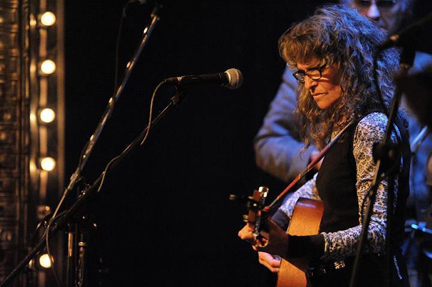 Singer-songwriter Kath Bloom and Mountain Mover Dan Greene play sets Sunday, Mar. 11, at Best Video Performance Space. The music starts at 7 PM and the cover is $5. This show was rescheduled from Feb. 17 due to snow. For fans of the song and how to feel it. Kath Bloom is some kind of legend. She comes from a special place where country, blues and folk are made beautifully translucent and emotive. She has a special gift – her voice is delicate and tender, yet retains that raw emotion and hard worn truths that allows each sung word to be felt. Her albums recorded with Loren Mazzacane Connors in the 70′s/80′s are rare things, full of songs that float and melt into the ether. Impossibly beautiful and hard to find on LP, but check the reissues from a few years ago . In the 90′s Kath’s music was famously featured in Richard Linklater’s film “Before Sunrise.” Since then she has been busy writing and recording to great acclaim. 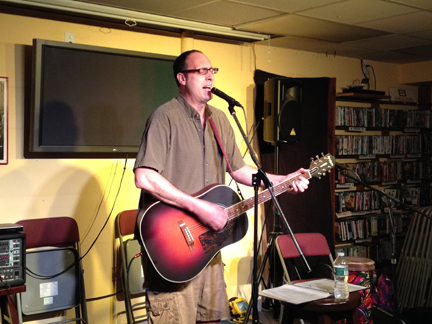 Dan Greene has a long history in New Haven music, dating back to the early 1990s when he played in the duo The Bug with (non-relative) Jeffrey Greene. Morphing into a full band, The Bug emerged from its chrysalis as The Butterflies of Love, who had an impressive run here and in the UK as purveyors of dreamy garage pop. Since The Butterflies of Love when on hiatus, Greene has poured his prolific songwriting skills into The Mountain Movers. Since 2011, The Mountain Movers have evolved into a powerhouse psychedelic ensemble, prone to immersive jams as well as deft turns on Greene’s melodic pop songs. 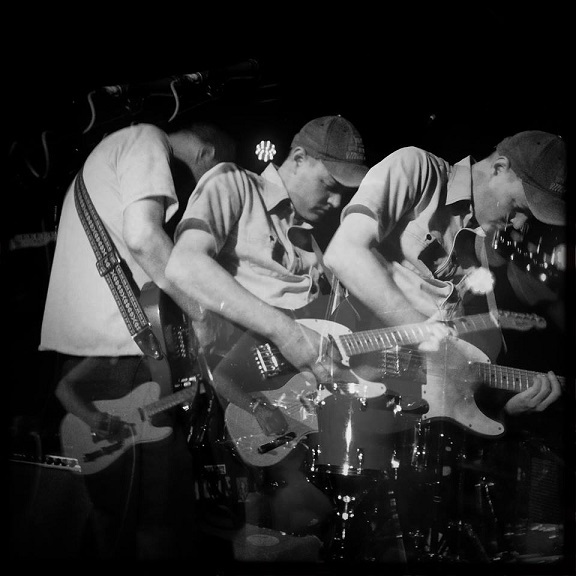 After more than a decade either self-releasing music or putting out LPs on local Safety Meeting Records label, the group’s self-titled sixth album was released on May, 2017 on the national indie Trouble in Mind label. Greene used to regularly perform solo but has cut back on those outings in the past couple of years. This is a rare chance to see Greene in an intimate space performing songs that you might recognize from recent powerhouses concerts offered by the full band. For this concert Dan will perform solo. Because of the threatened snow, tonight’s scheduled Kath Bloom/Dan Greene show is being postponed. We hope to announce a rescheduled date very soon. UPDATE 2/17: Due to the threat of snow, this show is being postponed. We will announce a rescheduled date soon. Singer-songwriter Kath Bloom and Mountain Mover Dan Greene play sets this Saturday, Feb. 17, at Best Video Performance Space. The music starts at 8 PM and the cover is $5. 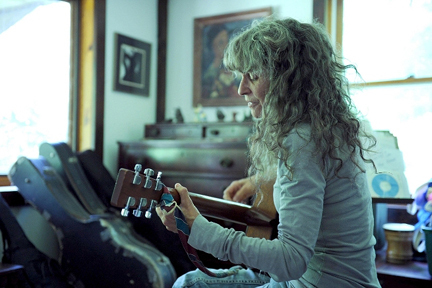 Singer-songwriter Kath Bloom headlines Friday, July 15, at Best Video Performance Space. Bop Tweedie opens. The show kicks off at 8 PM and cover is $5. Bloom will be accompanied by Flo Marie on percussion and Kyle McEvoy on guitar. For fans of the song and how to feel it, Kath Bloom (USA) is some kind of legend. She comes from a special place where country, blues and folk are made beautifully translucent and emotive. She has a special gift – her voice is delicate and tender, yet retains that raw emotion and hard worn truths that allows each sung word to be felt. In the 90′s Kath’s music was famously featured in Richard Linklater’s film Before Sunrise. Since then she has been busy writing and recording to great acclaim. Two new albums in the last few years and she and her songs where also honoured on a tribute album featuring Bill Callahan, Scout Niblett and Mark Kozelek. 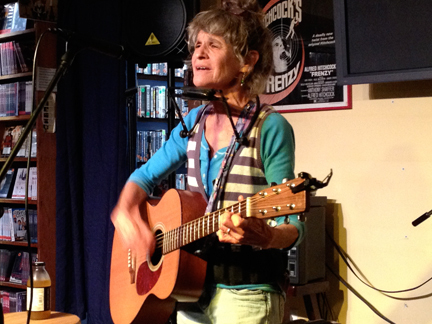 Singer-songwriter Kath Bloom plays Best Video Performance Space with her new group on Wednesday, June 10. 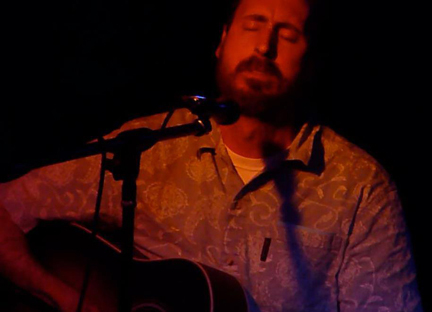 Dan Greene of The Mountain Movers will open with a solo set. The show starts at 8 PM and there is a $5 cover. Bloom will play songs from her new album “Pass Through Here” with Florence Marie, Byl Cote and Bop Tweedie. 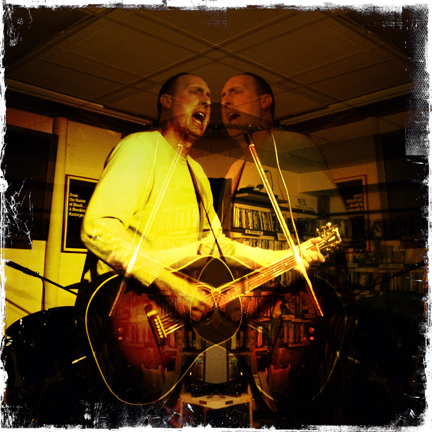 Dan Greene has been a mainstay of the New Haven underground scene for a decade and a half, first with the Butterflies of Love–currently on unofficial hiatus–and presently with the Mountain Movers. 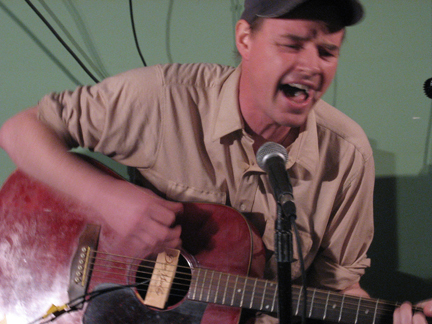 Greene, an incredibly prolific and talented songwriter, writes all the tunes for the Mountain Movers after sharing the duties with Jeffrey Greene (no relation) in the Butterflies of Love. The duo of Kath Bloom and Tom Hanford return to perform at the Best Video Performance Space on Friday, Oct. 17. Singer-songwriter Bop Tweedie opens. The music starts at 8 PM. Her albums recorded with Loren Mazzacane Connors in the 70′s/80′s are rare things, full of songs that float and melt into the ether. Impossibly beautiful and hard to find on LP, but check the reissues from a few years ago. In the 90′s Kath’s music was famously featured in Richard Linklater’s film Before Sunrise. Since then she has been busy writing and recording to great acclaim. Two new albums in the last few years and she and her songs where also honoured on a tribute album featuring Bill Callahan, Scout Niblett and Mark Kozelek. 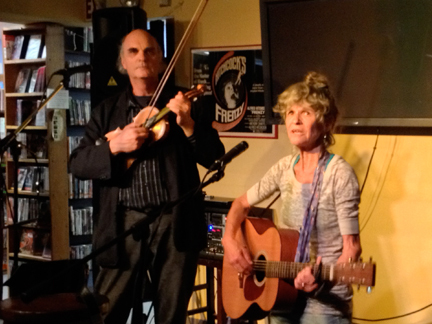 Kath Bloom will be performing with her longtime friend and musical compatriot Tom Hanford. Tweedie’s influences are all over the place and always have been. “Classical, opera, rock, jazz, world music—chances are if it’s out there, I’ve listened to it,” he says. 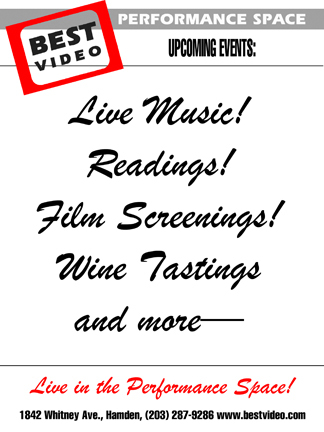 Singer-songwriters Kath Bloom and Tom Hanford and Bop Tweedie play the Best Video Performance Space on Thursday, June 5. The music starts at 8 PM and the cover is $5.